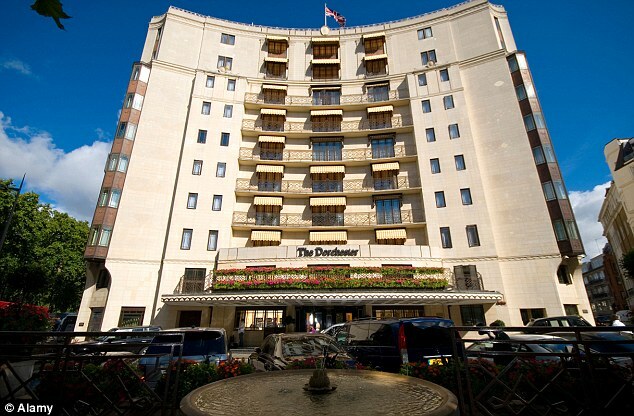 The singer was kicked out of the Dorchester Hotel after her fans proved too much to handle. Nicki takes to the sites after a visit to BBC Radio One last night. She managed to anger the Buckingham Palace guards who were irritated by her large entourage hovering outside during a late night sight-seeing tour on the capital. Minaj posed for photographs outside Big Ben, the London Eye and Houses of Parliament, before heading to the Palace. exiting the Channel 4, T4 studios.